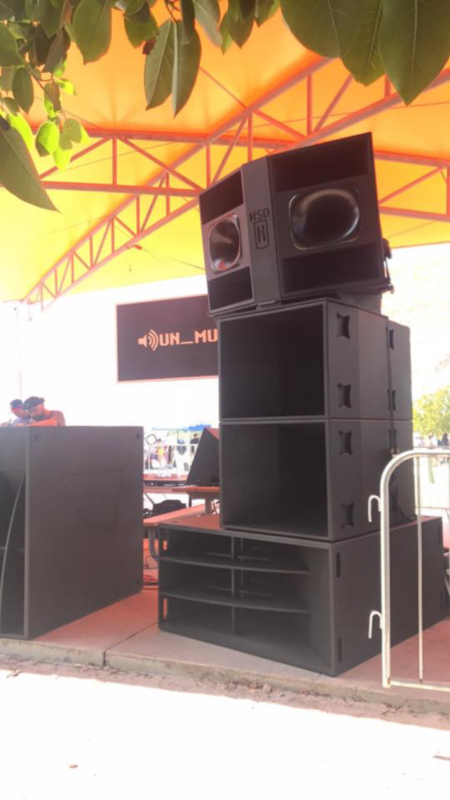 This week we feature Hennessey Sound Design, a premiere audio consulting company focused on the creation and implementation of customized speaker systems for large scale events, festivals, clubs and more. Like many companies, Hennessey Sound Design was started to address and solve a problem or gap in the present day markets. Before we dive into the explanation behind their explosive growth, let’s have a closer look at the history behind the company. 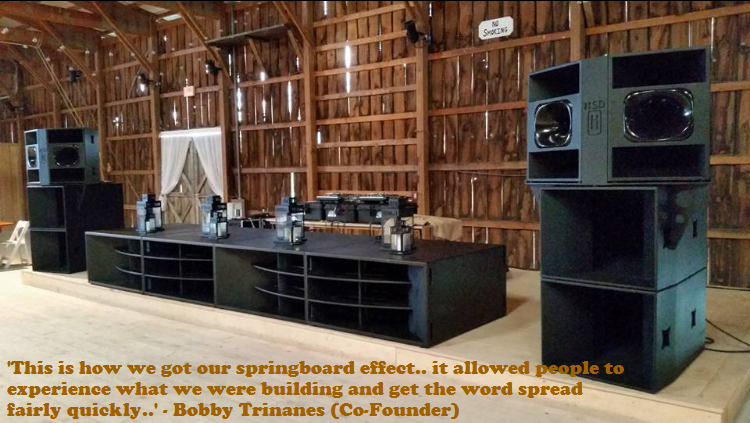 Founders Sean Hennessey and Bobby Trinanes have combined experience of over 40 years in the sound design and speaker building industry. Originally the two met through the DIY Forums (DoIt Yourself) and worked together on a few small gigs. Having both seen the demise in quality of sound over the years accompanied by a boom in live music attendance on a consumer level, Sean and Bobby realized their passion for music and specific expertise were a perfect compliment to one another. Early on, Sean honed his natural ability to understand the relationship between space, sound and music. Having experienced the three components working harmoniously to produce a perfect output, he began to notice the general lack of thought that was put into the science behind that harmony while attending live music events and club shows. Determined to fill this gap, Sean continued to apply his knowledge on a consulting basis to those that genuinely cared about the experience they brought forward to their consumers. 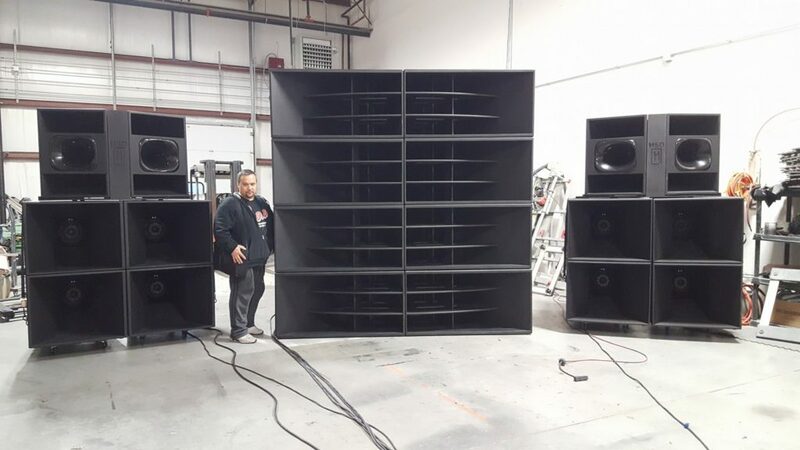 Bobby has been in the speaker building and installation business for over 30 years. His success in delivering quality entertainment systems to his clients eventually translated to having part ownership in many night club ventures where he was exposed to speakers. Seeing what the they could do together, the two launched Hennessey Sound Design on the premise of creating the best audio experience in the market without any compromise. Immediately catering to the elite of sound enthusiasts their speakers gained popularity in the heavy bass scene keeping HSD plenty busy since its inception. With many brand name speakers already dominating the scene like Funktion One and Void, the partners focused on providing a fully customized approach, not just in production of sound, but taking all components of an audio experience into account. They learned quickly that durability was crucial and brought both the design and build out of their own line of speakers in-house. Staying true to their vision, Sean and Bobby maintain a boutique feel to the business. When you call into the company you speak with one of the two partners. After going through a consultative approach to a clients wants and needs, HSD guarantees a quality execution from start to finish. From sourcing only the finest Italian and German speakers accompanied by the strongest cabinet building and construction techniques to supplying their own team for each event they lend their expertise to, they generate a flawless output that has birthed a huge demand through word of mouth. Because of this precision, HSD is able to provide a high-end product at an affordable price point yielding a “value to performance” ratio unmatched in today’s industry. To ensure their brand will continue to grow, HSD is currently handling the transportation and shipping of their materials internally. With their own fleet of trailers and trucks, HSD has the ability to transport all over the country, Canada and at the moment anywhere else they’re able to drive. Given the initial demand in the Bass music scene, it wasn’t until recently that the company was able to branch out. 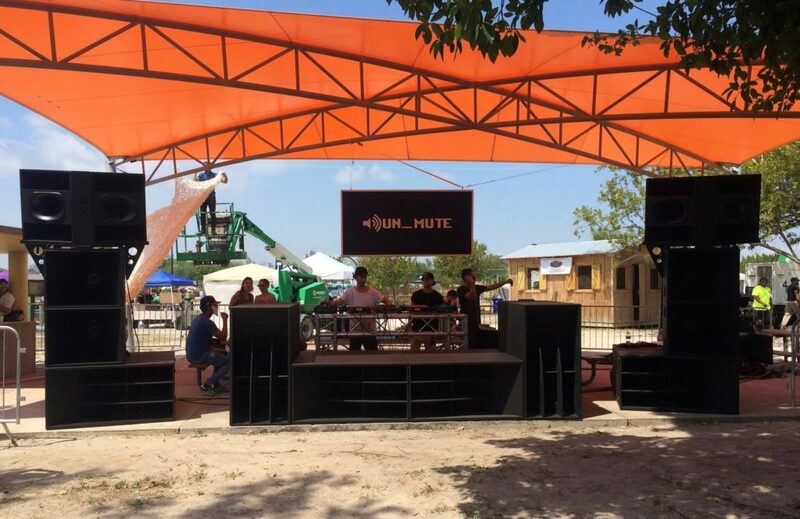 This past March the Rapture Music Festival featured an HSD sound system at Miami Music Week and the feedback was so positive, they were able to lineup gigs through the year and sales as well! So what can patrons, customers, fans and clients expect and look forward to as we head into the Summer Season? For the most part, the company is gearing up for festival season including some major events on the east coast: Elements Music Festival, Psychedelic Sleepover, Farm Fest, Down to Earth Festival and hometown proponents of the company Rezinate. With a crisp and affordable proof of concept, you can surely expect to see Hennessey quickly become a staple in what is currently a watered down world of sound production.